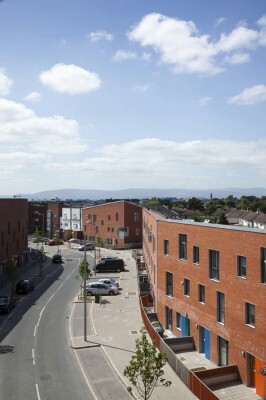 Analysis of the site suggested a continuation of a linear organisation along the new street edge, extending the strategy established by the Ballymun master plan. 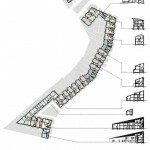 The concept resolved into a formal proposition that twists and bends in response to various site conditions and brief requirements, to provide a coherent and integrated response which embeds itself into the existing and emerging context. 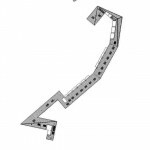 The linear form twists and turns depending on the depth of the site and the proximity of the proposed building to existing houses. 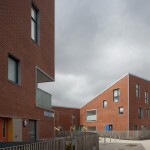 The majority of units are two and a half storeys high changing to a full three stories where the form is bent. 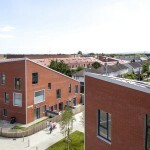 The roof accommodates this change in scale and ensures all third floor windows look to the street. 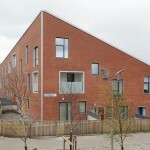 The rear elevation is allowed to rise up when distant from the existing neighbours, falling to single storey when the form is less than 20 metres to the rear of an existing house. 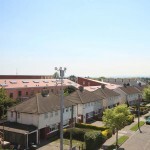 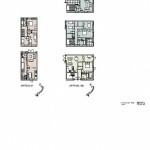 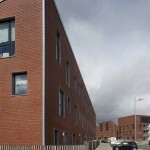 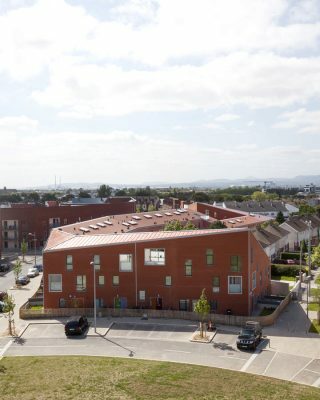 BRL commissioned FKL to design a new housing scheme known as Shangan 5A as part of the last phase of housing replacement projects in Ballymun. 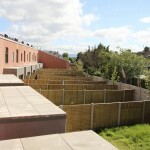 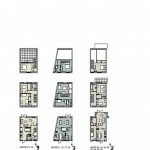 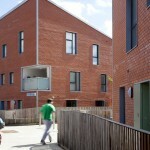 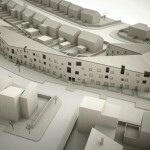 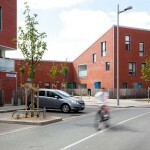 The aims for the project were to create range of pleasant, comfortable homes for different residents’ needs. 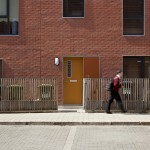 These homes were to form a street with its own identity and character and finally the street was to be a positive addition to the local neighbourhood. 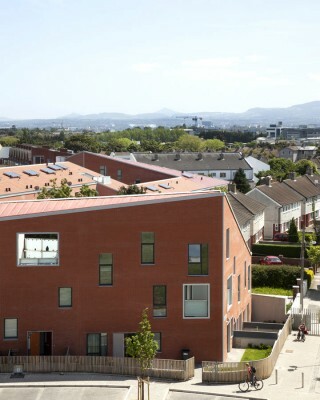 FKL’s design achieves all of these aims and their ability to take advantage of design opportunities has created a safe vibrant environment for local residents.